When you own a commercial property, there can be an extensive amount of work involved in maintaining the cleanliness and appearance of your property. It can be difficult for property owners or their employees to manage many of the more time consuming or challenging tasks, which is why Glendale Pressure Washing provides a range of power cleaning services to help you upkeep the exterior of your building and the surrounding property. We can assist with everything from storefront cleaning to parking lot pressure washing to make sure that your property looks its best for tenants and customers. There are many ways that litter can find its way onto your property and into your parking lot. From stray trash blown in by the wind to careless individuals discarding their unwanted items onto the ground, litter can quickly accumulate in any open, high traffic areas of your property over time. As part of our parking lot cleaning services, we can help you pick up and remove any trash, litter, and debris strewn throughout your property and dispose of it properly for you in order to keep your parking lot clean and clear of trash. The care and maintenance that goes into your property can impact the experience of your customers. Our powerful pressure washers deliver a deep clean without any harm to the concrete of your parking lot. Our team will help you remove stains from car grease, auto leaks, food and beverage spills, and more while preserving the condition of the paving material. 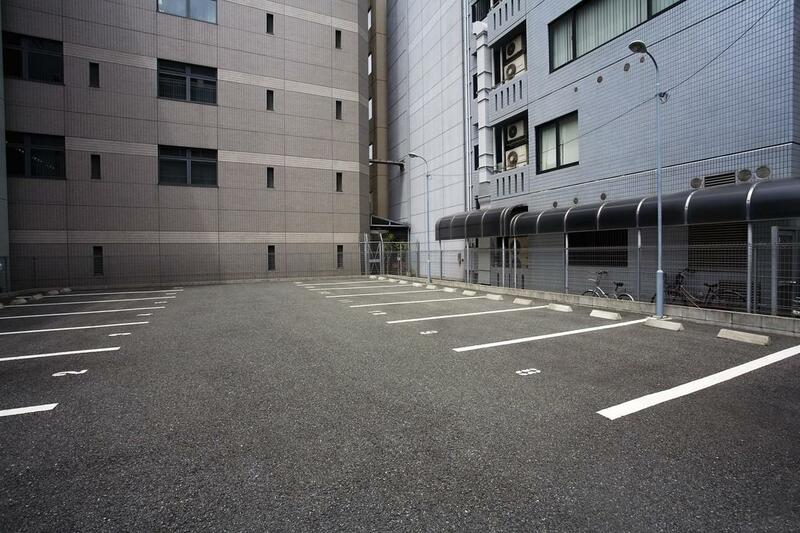 We are able to deliver a perfectly spotless cleaning in a fast and efficient manner to ensure that your parking lot is free from unsightly messes and unpleasant odors. No matter the size of your parking lot, our professional pressure washing experts will make sure that every square inch receives proper cleaning and care. Our company has been providing commercial power cleaning services to Glendale CA businesses for many years and our team has provided pressure cleaning for properties both big and small. We understand the best way to properly clean and maintain any type of property regardless of size or the surfaces that require our care. Whether we are cleaning a concrete parking lot or spraying down vinyl siding for our customers, we make sure that we do a thorough and satisfactory job every time. When it comes to delivering sparkling clean results for our customers, our years of experience plays a massive role. Because we have worked with so many different types of surfaces and assisted our customers with power washing everything from wood decks to concrete parking lots, we have developed special techniques to ensure that we provide the most effective and efficient pressure washing no matter the job at hand. You can depend on our knowledgeable team for fast and safe pressure washing for any exterior area of your commercial property. From the storefront to the parking lot, we can get your building and the surrounding areas looking their best for customers.